William Shakespeare’s Macbeth is renowned not just for its savage, coruscating take on murderous ambition but also for carrying a curse. To this day actors and actresses still decline to call it by its name, propagating the notion it should be referred to only as “the Scottish play”. Even at an early London screening of Justin Kurzel’s new visceral retelling of Macbeth, critics jokily whispered of not calling it by its name. It would invite bad luck, catastrophe even. Maybe one of their pens would not light up. "A coven of witches is said to have cursed the play for eternity in revenge for Shakespeare’s inclusion of spoken spells"
In 1605, when Macbeth was first performed, belief in the supernatural was as strong as any cold wind blowing through a Scottish glen in winter. The tragic tale of a Scottish general haunted and then destroyed by his own ambition opens with three witches delivering a prophecy that suggests he will one day become king of Scotland. They reappear during the play to frighten the story along and keep audiences unsettled and edgy with incantations and spells, as the bloody murders and battles continue and the body count grows. A coven of witches is said to have cursed the play for eternity in revenge for Shakespeare’s inclusion of these spoken spells, with ingredients such as an adder's forked tongue, the eye of newt and a frog’s toe. King James I, who commissioned the first English version of the Bible in 1604, banned the play for five years. He was no fan of its supernatural incantations. It is one of the most enduring superstitions in theatre lore, still swirling around like the Scottish mists of its setting, more than 400 years after Shakespeare first scratched Macbeth out with his quill. And while these days tales of a curse are generally dismissed as superstitious hocus-pocus, there is no denying the storied examples of ill-fortune visited upon players and companies mounting Mac- er… the Scottish play. Take the riot at New York City’s Astor Opera House in 1849, caused by rival productions of the Scottish play. Twenty-two people died, including some who just happened to be walking past the theatre. Glass-and-bottle armed fans of American actor Edwin Forrest descended on Astor Place, where English actor William Macready was performing his version of Macbeth. The two sides clashed and Macready fled, never to return to America again. There are numerous stories of actors who have plummeted off the stage, and a falling stage weight once missed crowning Laurence Olivier by inches. For actors in particular, the very popularity of the play itself can be doom-laden. Traditionally, theatre owners would replace struggling productions with Macbeth, a proven box-office draw. Actors in any other play feared any mention of Macbeth because it usually spelled the end of their present job. The "Curse of Macbeth" is the misfortune that happens during the production of the play. The theory goes that Shakespeare included actual black magic spells in the incantations of the weird sisters. Those who appear in the play or those who mention the play's name within the confines of a theatre risk having these evils brought down on their heads. The tragedy of Macbeth is considered so unlucky that it is hardly ever called by name inside the profession. People refer to the play as "that play”, “the unmentionable" or "the Scottish play." It is supposed to be bad luck to quote from the play or to use any sets, costumes, or props from a production. The play partly acquired its evil reputation because of the weird sisters and partly because tradition traces a long line of disasters back to its premier on August 7, 1606. The boy actor playing Lady Macbeth died back stage on opening night. In 1934, four actors played Macbeth in a single week. 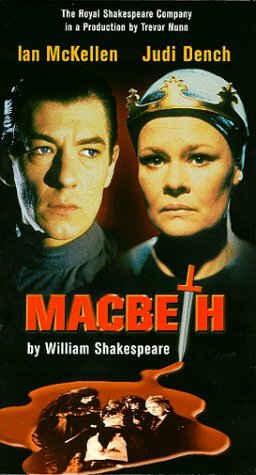 In 1937, Macbeth had to be postponed for three days after a change in directors and because of the death of Lilian Boylis. In 1954, the portrait of Lilian Boylis crashed down on the bar on opening night. The answer to the curse is lost in folklore, there are three main guesses to why the curse occurs. The first guess is that there is something mystical about the weird sisters incantations. The second guess is that the play has a history of bad luck. The third guess is that the play's crowd-pleasing popularity made it the stand-by when a show was flopping. There is a lot of fighting and physical action in Macbeth. It is inevitable that in the long run of the play someone is going to get hurt. After a few of these stories get around, you get the "Curse of Macbeth." In one production of Macbeth, nothing went wrong until the fight scene between Macbeth and Macduff. Both actors had round "Celtic-style" shields strapped to their forearms of their left arms. The fight was very physical. The actor playing Macbeth made a violent move with his left arm and the shield left his arm and flew like a Frisbee for twenty feet across the stage. The actor playing Macduff ducked instinctively and the shield hit the ground about sixteen inches from the front of the stage. Sitting in the front row, directly opposite the shield sat two nuns. The superstition is not so much about doing the play as about naming it. You are not supposed to mention the title in a theatre. The most interesting theory is that the play contains the devil in the form of the porter. The most common remedy to get rid of the curse is that the offender must step outside, turn around three times, spit, and say the foulest word he/she can think of, and wait for permission to re-enter the theatre. Crazy isn't it? Very intriguing Samj, great Topic. According to legend, this dates back to the premiere of the play: an actor died because a real dagger was mistakenly used instead of the prop.